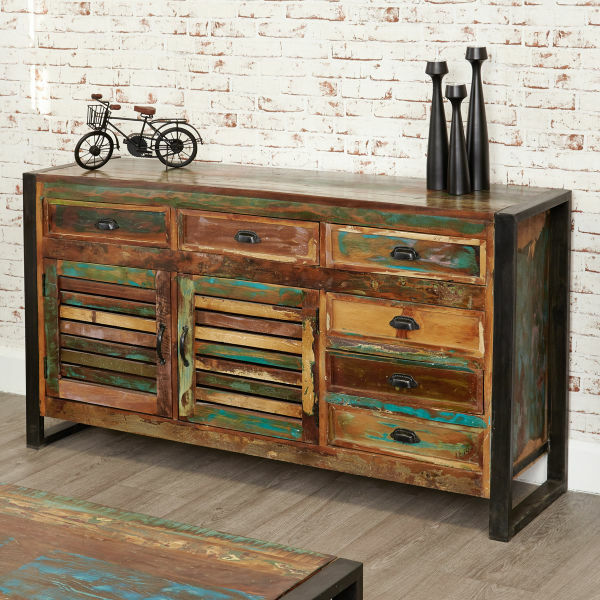 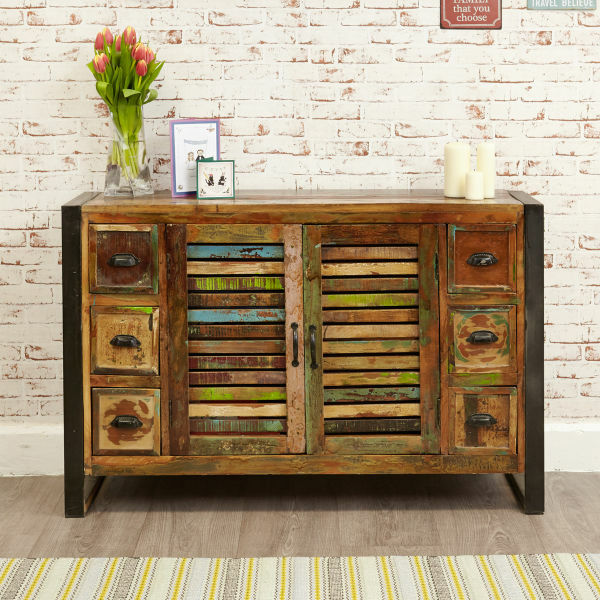 Bring the contemporary feel of the city into your home, with this Urban Chic ultra large sideboard. 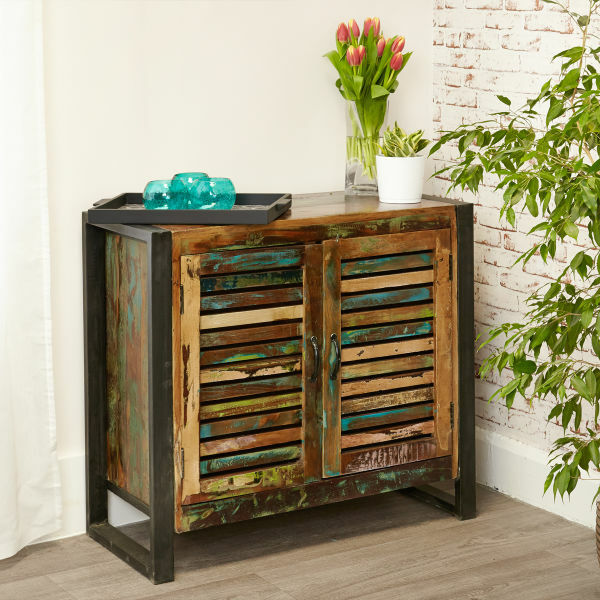 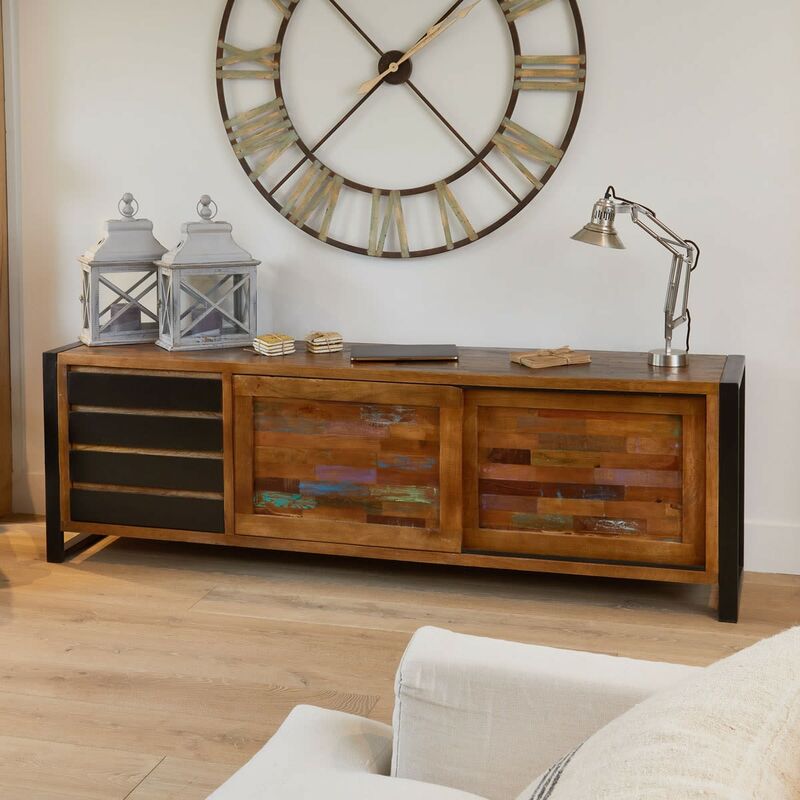 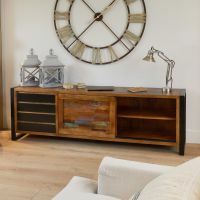 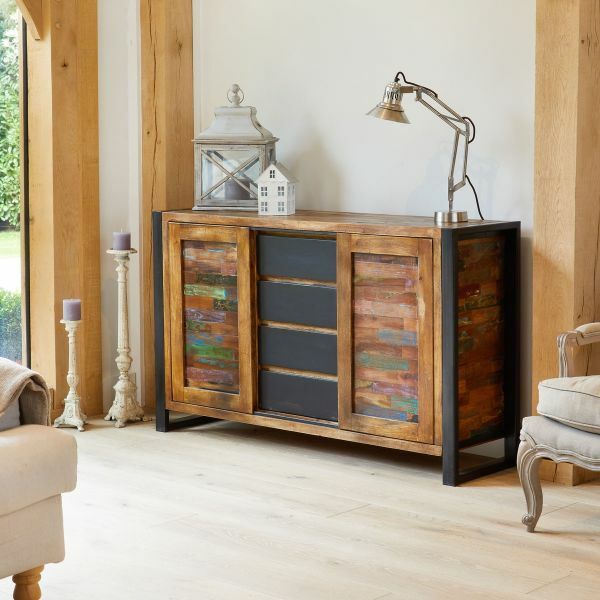 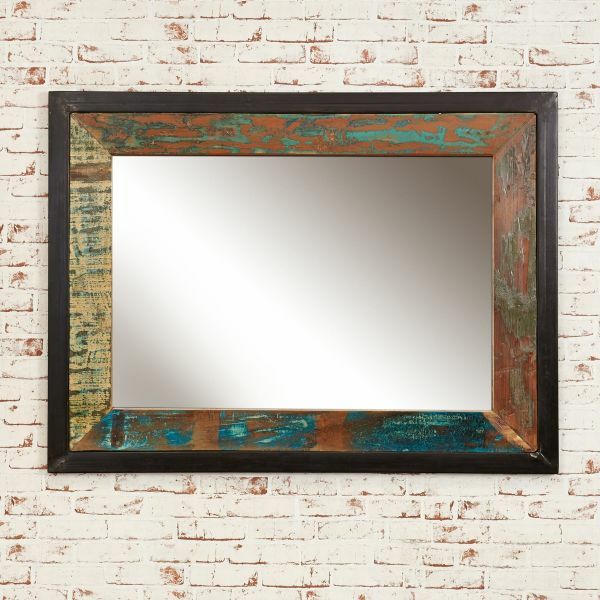 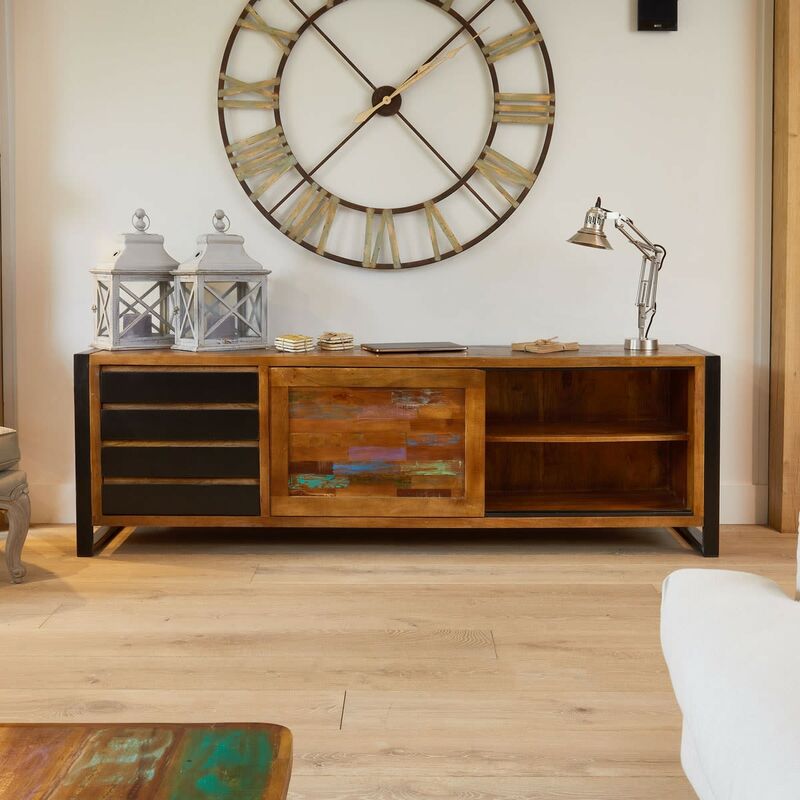 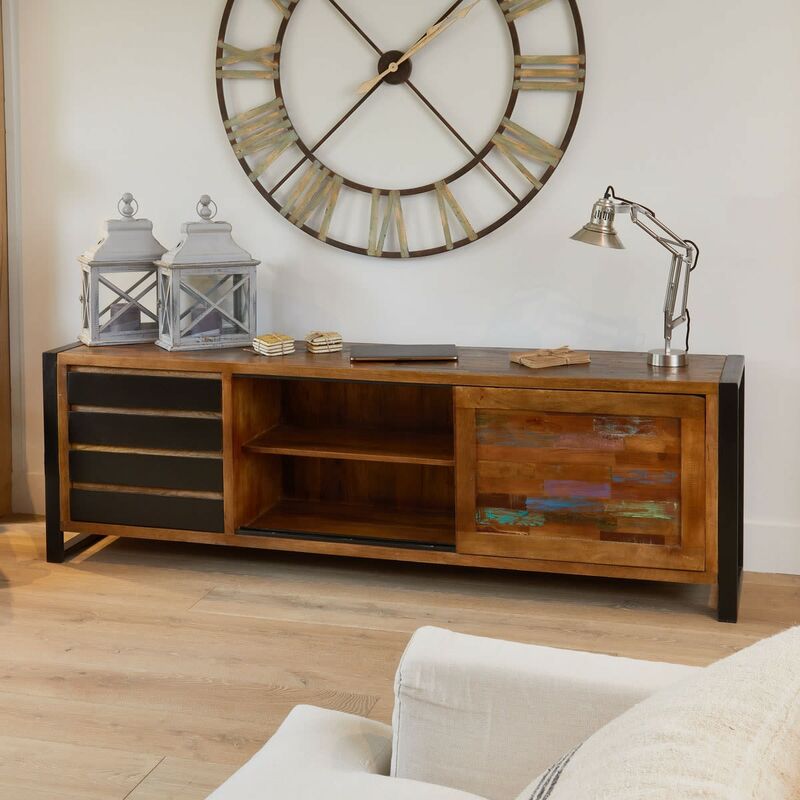 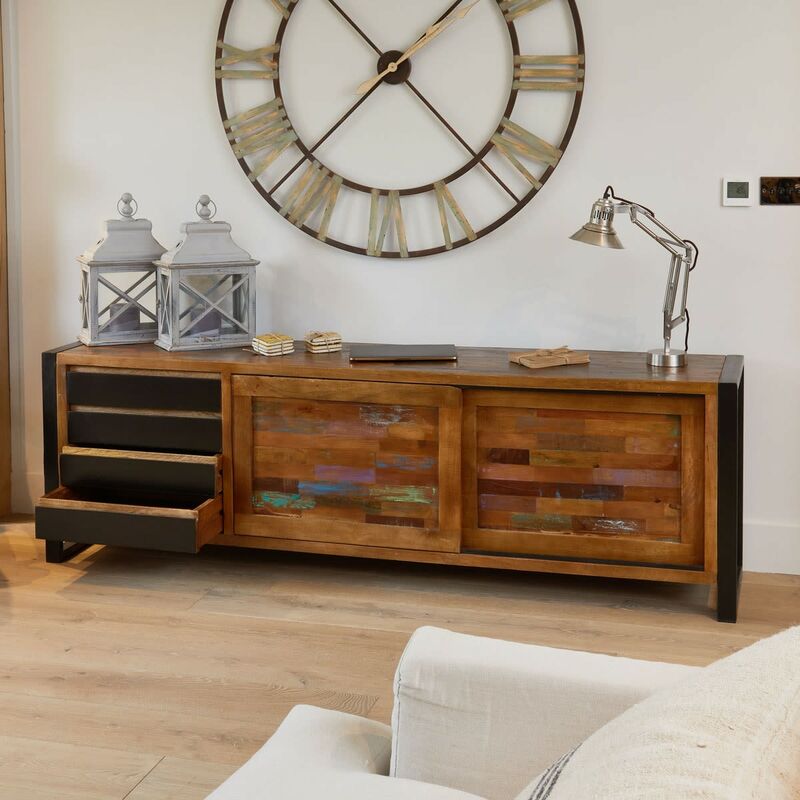 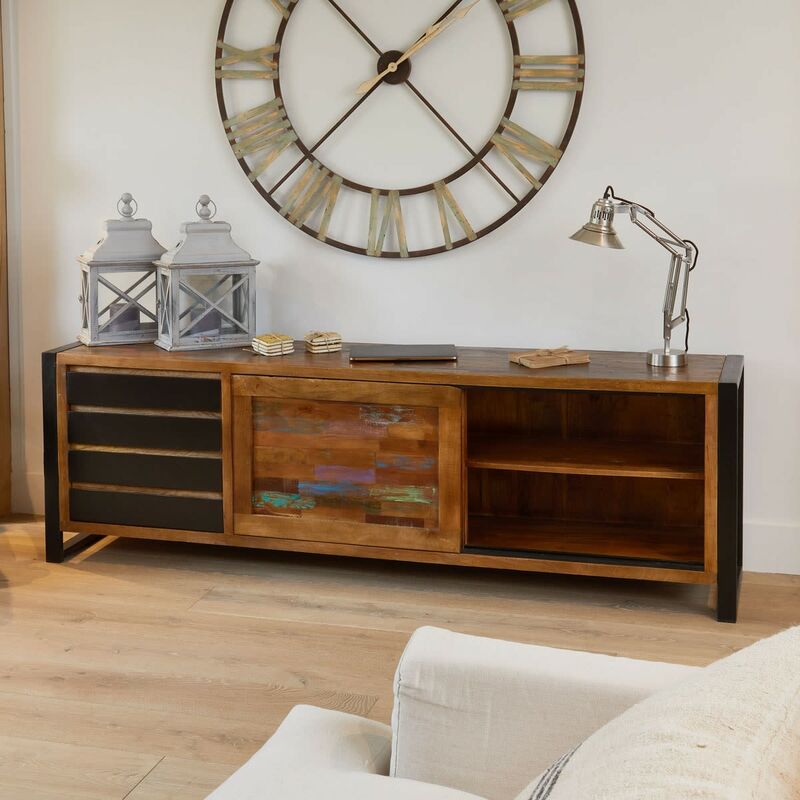 The steel outer frame highlights the exquisitely crafted reclaimed timber which has been sourced from southern India and hand finished by skilled craftsmen to accentuate the individual colour and character of the wood. Each sideboard is a truly individual piece of furniture and has four drawers plus large cupboards with a single shelf inside. The cupboards have sliding doors which offers a flexible storage and is perfect for any modern dining room.